Mob app designed for you and your industry. We develop high performance/speedy apps. Our solutions reinforce your brand; increase their visibility and accessibility. Sophisticated user experience and data security to their end customers. We follow Transparent working Model. Smartboxmedia is one of the top android app development companies to plan, develop, and deliver iPhone, iPad, Android, HTML5 apps and responsive websites through our transparent working method. Android App Development for travel business where one can book tours , flights or taxis etc. Android app development for eCommerce websites where customer can register and place orders for buying products.We have specialization in development of E-commerce apps. Android app development e-learning apps for helping students to learn online with our physical presence of teachers.We make fast, effective, Economical E-Learning apps. Android App Development for Games are always popular on mobiles be it android or iPhone. We are capable of building any game for mobile. Android App Development for Social Networking Apps where people can create their social network and get connected like apps for matrimonial websites or job site etc. Android app development for Entertainment Apps like playing music or videos or quiz etc. Available on Skype /Email /chat. We believe in Happy clients. If you are not happy. we will refund your money. Won National /International awards for Quality Services in Global Outsourcing. Single point of contact /Toll Free Number/Email/Skype/chat. 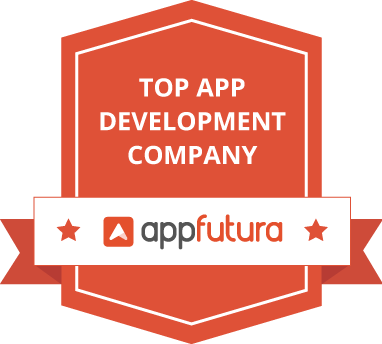 Over the last five years, Smartbox Media been one of the top android app development companies when it comes to developing Android apps and provides certified app developers for Android. With clients worldwide, Smartbox Media focuses on offering customized services and user-friendly Android apps. Hire our expert android app developers on a monthly, weekly and hourly basis. With rates starting at just $18/ hour, your own Android app isn’t that far away. The iPhone/Android app market is incredibly lucrative, but in order to be successful, you have to have the right app, the right functionality, the right rollout and the right support. Whether you are searching for proficiency, functionality, looks or optimization, the Smartbox Media team has the right strategy up their sleeves to help you. Develop user-friendly mobile apps and achieve 100% customer satisfaction. We provide source code security with non-disclosure agreement and app testing for bug free application. With mobile devices like iphone, android, blackberry etc we provide cross device functionality also. We give assurance for on time delivery of project. We build topnotch, robust, practical, high quality and compatible android app development solutions. Went above and beyond, if you are looking for an outsourcing solution and they meet your skill set requirements, I highly recommend them. Really good job, really professionel, I first had some complain about tiny stuff and they change it right away. Smartbox Media was great to work with and very helpful. If they had not done something previously, they researched best practice and implemented. They were friendly and great to work with. I would recommended. Great developers and work really hard for your out come and goal.Consider this firm. I went through extensive bid process and research and now working with them and confident in my decisions.Very high level expertise. In development there are no second chances on critical business objectives. You cannot turn the clock of timeback. So, if you have a mission critical development goal consider this firm as your choice. A very professional company. This was a complex project and they provided excellent support throughout. I would have no hesitation in working with this company again and recommending them to others. It’s time to help your business stand out from the crowd. We’re ready to get started when you are. Please be assured your information will not be shared with any party outside of SmartboxMedia. Read More.